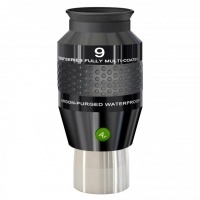 This eyepiece is optimal for beginners, because it delivers a much bigger apparent field-of-view than a standard Plössl type combined with a comfortable eye relief. Comfort, Quality, Value. 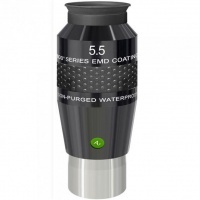 The Explore Scientific 52° Series™ Most short focal length eyepieces are excellent flat-field multi-element oculars that can transform your visual astronomy experience. If a observing session is a relaxing and joyful experience is heavily dependend on the choice of eyepieces. People wearing glasses very often have the problem to see the entire field of view when they are using eyepieces with large apparent fields. 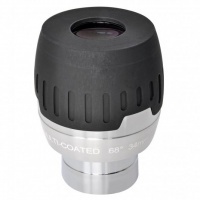 With 68 degrees apparent field and fully multicoated high-resolution optics, the Explore Scientific 68° Maxvision Eyepiece 20mm is a first-class 1.25" occular. 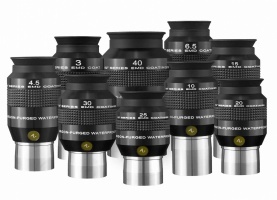 Explore Scientific's 82° eyepieces are essentially Ultra-Wide-Angle versions of their hugely popular 68° Series. Which is good because they deliver the same impressive optical characteristics, over a wider Apparent Field Of View. Using the Explore Scientific 120° Ar purged Eyepiece 9mm is a totally unique experience. Never before has an eyepiece been created with such a large apparent field - the clarity and correction of which has to be seen to be believed.